JK Imaging Ltd., the worldwide licensee for Kodak Pixpro digital cameras and devices, has announced the launch of its flagship AZ1000 Astro Zoom camera at Photokina 2018 in Cologne, Germany today. The newest, flagship Astro Zoom camera is a bridge digital still camera and will be revealed on the Kodak Pixpro. A powerful 102X optical zoom model, with 20.68 megapixel image sensor and 3.5 mm focal length, the AZ1000 showcases the brand’s commitment to offer outstanding performance at a fraction of the price of traditional and more expensive DSLR bodies and lenses. Other features offered by the AZ1000 include multi-language support, a 4 hour charging time, 90 minutes of video shooting or 400 shots, a 15MB internal memory, red-eye reduction, slow synchro, 6 seconds or less recycling time, photo touch-up, and smile and blink detection, plus 7fps full resolution burst mode and 1/200 shutter speed (30 seconds). Kodak Pixpro will also be exhibiting a wide array of its award-winning cameras at the Photokina 2018 show, which runs from 26th – 29th September, ranging from compact, point-and-shoot, mega-zoom bridge cameras to Kodak Pixpro’s growing category of 360° immersive VR cameras. The company’s commitment to the emerging 360° VR camera category has born three generations of 360° cameras thus far and has answered the needs of enthusiasts worldwide, by providing easy-to-use cameras that go beyond traditional video. This year’s exhibit will feature a sneak peek into the next generation 4K 360° VR camera for the consumer market. The current Kodak Pixpro 4KVR360 consumer model is shipping now throughout Europe and will be demonstrated in booth with unique, engaging and immersive content. The popular and award-winning Kodak Pixpro SP360 4K prosumer cameras preferred by dedicated content creators and professionals will also be displayed and demonstrated in booth. JK Imaging takes a unique approach by bundling useful camera accessories and complimentary PIXPRO software for editing and stitching on Mac and PCs with all 360° VR cameras. All Kodak Pixpro 360° VR camera models are YouTubeTM compatible for 360° interactive videos and Facebook compatible for 360° photos and videos. The newest 2018/19 Kodak Pixpro family of cameras will continue to offer consumers a variety of feature-rich, long-zoom options within the Astro Zoom line. Rounding out the Kodak Pixpro Astro Zoom camera line up, the company will show the entry level 25X zoom option with the AZ252, and a myriad of other models including the AZ401, AZ422, AZ527, AZ652 and AZ901, all available now and designed to give photographers of every age and skill level more choices at more value. 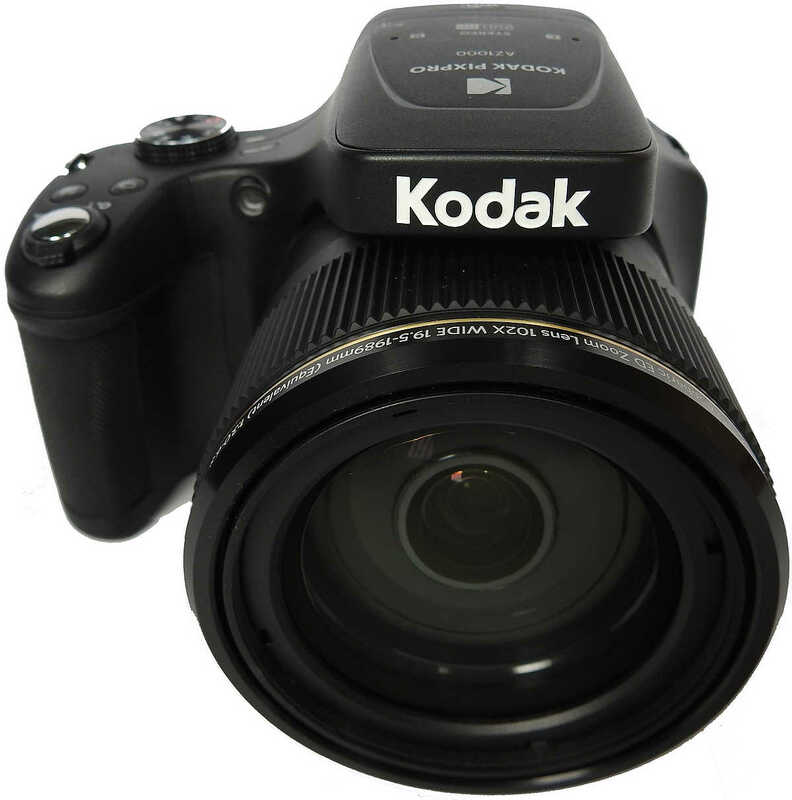 This year’s Kodak Pixpro camera line will continue to offer four ever popular and affordable compact point-and-shoot models with the entry level FZ43, FZ53, FZ101, FZ102, FZ152 and new FZ201 comprising the Friendly Zoom category. These models give consumers a variety of choice between AA and Li-ion batteries depending upon preference and start under £100 for the entry-level models. To add yet another option for savvy consumers, the Kodak Pixpro Digital Devices stand will feature and demonstrate their commitment to giving consumers added benefits and more power in a Micro Four-Thirds model with the S-1, a mirror-less lens camera with an assortment of detachable lenses for those avid photographers looking for a compact solution without compromise.